In the four years I’ve been writing articles and producing podcasts for The Work Of Wrestling, I’ve written and talked a lot about “entitled”, “rude”, “obnoxious” pro-wrestling fans. From Full Sail disrupting NXT promos and matches to the infamous “Raw After Mania” crowds that appear more interested in beach balls than actual wrestling, I've lamented and chastised these antics. Despite my larger love of wrestling and its ability to unify people in a common experience of joy, I’ve had something of a contentious relationship with fans who (as insiders describe it) “go into business for themselves”. My main criticism has always been that such antics are disrespectful to fellow audience members and wrestlers who put their bodies on the line for our entertainment. 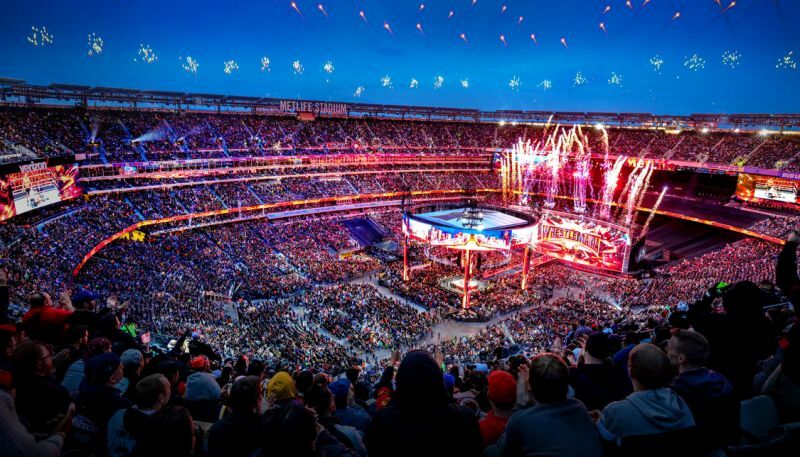 This past weekend, I attended WrestleMania 35 at MetLife Stadium. From the time I arrived at Secaucus Junction in New Jersey at 2:15 pm before the event, to the time I arrived at Penn Station at 2:00 am after the event, I lived, often shoulder to shoulder, knee to knee, and back to back, with fellow wrestling fans. I cheered with them, chanted with them, sang with them, gasped with them, groaned with them, rolled my eyes with them, and laughed with them. That experience has fundamentally changed me. It’s not as though I no longer believe it’s possible for fans to disrespect each other and wrestlers at live shows. Of course they can, and will, unfortunately. Like any human beings participating in any live event, there will always be rude outliers who disrupt the happy norm. Also, this piece is focused solely on the live audience and not wrestling’s online community, where negativity, hatred, divisiveness, and obnoxiousness appear to be our default mode. The community has a long way to go, but my perspective on live crowds has changed. This piece is about what it was like to literally sit, in the real world, with real people who love wrestling. I lucked out, in that I found my section, way up in the rafters, engaged, positive, and respectful. Even the group of guys behind me who mocked several parts of the show (particularly Triple H vs Batista), and chastised my row for booing Daniel Bryan, didn’t bother me in the slightest. Everything they said was in good fun, often inspiring genuine laughs. Also, when a wave started during Roman Reigns vs Drew McIntyre, the majority of the fans in my section refused to participate. We stopped the wave from progressing beyond our section which was, itself, entertaining. In this moment, it became clear to me that it’s possible for the audience to police itself, and that the vast majority of wrestling fans do want to watch wrestling more than they want to sing, chant, and punt beach balls. How then, if most of us want to watch wrestling, can entire arenas turn on shows? The reason does not merit a lofty philosophical discussion about the decay of modern society. The answer is much simpler than all that, and speaks to a core problem with present-day WWE. To find that answer, one must sit amongst the people, and juxtapose matches that hold their interest and matches that don't. During the Kofi Kingston vs Daniel Bryan match for the WWE Championship, I felt, tangibly, 80,000 human beings paying attention. We weren’t intentionally spinning clever chants, thinking about starting waves, or checking our phones. We were, all of us, focused intently on the action and reacting, honestly, after every move. We fed off each others' focus. 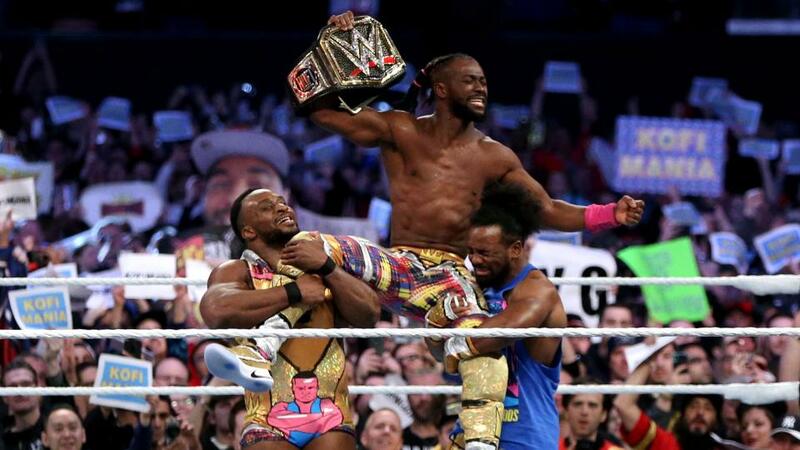 All of our reactions were inspired by what we were seeing - the bond forged between the wrestlers and the audience almost literal, as if 80,000 marionette strings extended out of Bryan & Kofi’s fingertips, moving us to an experience of communal ecstasy that can only be described as magical. The wrestling match itself entertained and interested us, and so there was no need to “go into business for ourselves”. It wasn’t even an option. The fan’s natural impulse was to engage with the medium in the exact way they’re supposed to, because the medium was delivering in the exact way it’s supposed to. The same could not be said for several other matches and segments. Just as fans feed off each other’s enthusiasm, they feed off each other’s disinterest. For example, from my vantage, the Randy Orton vs AJ Styles match failed to connect. I found myself unconsciouslly reaching for my phone to text my friend and take pictures of the arena. Suddenly, it struck me that I wasn’t paying attention. Why? For a moment, I was angry with myself for becoming what I, for so many years, had railed against. Then it occured to me that I had reached for my phone on instinct. Some part of me recognized that the arena itself, the spectacle of being surrounded by my fellow fans, the conversations I could have with them and the silly or funny chants we could create, were all more interesting than what was happening in the ring. As fans, we’ve been trained to think we are responsible for “everything” in the WWE. That puts an undue amount of responsibility on us when a match or show doesn’t deliver, regardless of our participation. Over the years, fans have been labelled disrespectful and obnoxious for turning on shows, without much consideration for the circumstances that led to such situations, nor for the fundamental way art works. The audience is just an audience. They are not artists. Not even in WWE where fans are empowered think otherwise. Fans go to the event wanting to participate in the experience, and a part of that experience is communing with fellow fans. But that’s secondary; the noise a crowd makes is meant to be the result, not the cause, of joy. The fans attend, first and foremost, to see good wrestling matches and good segments. When that doesn’t happen, what are they supposed to do? Should they sit “Respectfully” and patiently until a stale match or awkwardly scripted promo is over? That’s just not the way human impulses work (especially after paying hundreds of dollars). When we feel the WWE isn’t delivering on its promise of “entertainment”, we instinctively search for the nearest secondary source of entertainment. That source becomes each other. Having sat through a match that did effectively capture my imagination, and several that didn’t, during a show that lasted seven hours, I can no longer blame fans for “going into business for themselves”. What they’re doing shouldn’t be labelled “hijacking”. It should be called what it actually is - supplementing WWE’s ineffective content with something more entertaining. There are definitely disrespectful ways to participate in that process, but the angry finger-wagging “smart crowds” routinely receive for derailing WWE’s product (something I’ve certainly done in the past), misses the deeper, simpler point. Blaming the fans is an all-too easy way to deflect responsibility for producing a sup-par experience. The creator or the director is the one who is supposed to create the art, and direct the audience’s responses. That makes the creator, not the audience, responsible for the outcome. While the creator’s desires and the fans’ desires won’t always align, they start in alignment before the show begins and only fall out of alignment during a show when the creator (not a fan) makes a mistake. Another example of a Mania-misalighnment occured during the overlong Triple H vs Batista match. Throughout that laborious affair, it was simply more entertaining to crack jokes and shout jeers than it was to watch the match. Was our inattention disrespectful to Triple H and Batista, or was it the natural result of bad art? Do wrestlers and WWE-segments inherently deserve approval and attention, in the moment they're happening, regardless of their quality, just because the art demands risk? In mediums like film or theatre, a fan can just walk out if it's bad, guilt-free. There aren't many incentives to stay, and there aren't many secondary sources of entertainment during the experience. But, in wrestling, your fellow fans are always there, offering you something to fall back on when the real reason you're there doesn’t do its job. And let's consider the setting of the wrestling medium. It's not a museum or a sacred theatre where shushing and decorum are encouraged, and it's certainly not easy to get out of. You're meant to get riled up with fellow fans, but that emotional explosion, under the right conditions, is supposed to remain oriented around the wrestling ring. When the conditions aren't right, the wrestling fan isn't going to ignore their environment and stop trying to be entertained. This is even more true when an entire show doesn’t work. This year’s Raw After Mania is a perfect example of a a whole show coming up short. There were no significant surprises, a disheartening bait and switch of a main event that advanced no narrative, and no effective, joyous acknowledgement of the post-Mania atmosphere. It was a standard RAW, which is the exact opposite of what that crowd paid to see. Having experienced several disappointing hours of live WWE-wrestling, where expectations weren’t met and the impetus for paying hundreds of dollars seemed entirely disregarded, I now understand how a beach ball can become more entertaining than a wrestling match. It's not about the ball; it's about the emotional connection. It's about fun. I never thought I’d write that, but my WrestleMania experience has enlightened me. Being with my fellow wrestling fans, singing and screaming during entrances and exits, was the primary source of joy and entertainment I had access to (apart from one match). That remains true regardless of our original intent. This revealed to me that while there certainly are contingents of any audience that are self-interested and rude, no matter how good the actual show is, blame (if blame must be assigned) falls more on the WWE than its fans when it comes to entire arenas being “hijacked”. The hijacking just won’t happen if the show is good (see any NXT TakeOver). It's not as though a few rogue fans decide to be assholes and then thousands of people join in to also be assholes. It's that everyone vaguely starts to feel the same dissatisfaction with the show, and so they turn to their only entertainment-recourse. It’s important to reassign this blame not to spitefully finger-wag at WWE, but to accurately reframe our understanding of this contentious issue. We must remember who really has the power to fix the problem. It’s the WWE’s job, not the fans, to make WWE television more entertaining than what’s happening in the bleachers. There are many ways to fix this, but the primary one remains producing good wrestling matches in an easy-to-consume way that spotlight well-defined, larger than life personalities. Even matches that weren’t necessarily “good”, but that featured fun and interesting characters, managed to arrest our attention and inspire genuine emotional responses. Also, WWE would be wise to consider what it takes, practically, to experience a live show. 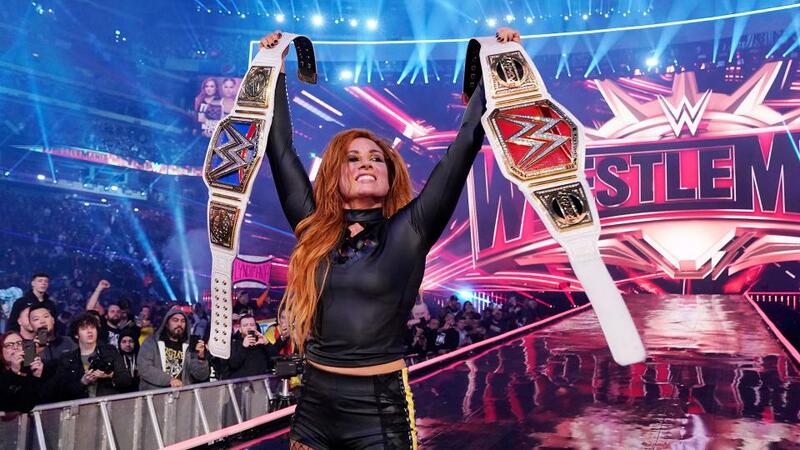 Having sat through all of WrestleMania’s seven hours, in a tiny chair, listening to the same theme song blasting in my skull, it feels like no one behind the scenes is genuinely concerned about what that minute-to-minute (let alone hour-to-hour) experience actually feels like. It gets miserable past a certain point (and I don’t use the word “miserable” lightly), and you need to fight that misery with your unabashed love and hope and positivity. Fans, because they love WWE, will just accept that uphill emotional battle as normal. But it’s not normal. The true story about attending WrestleMania that nobody tells is that it’s not just seven hours of sitting in a tiny chair trying not to spill your beer. For me, WrestleMania was actually seventeen hours, most of it spent on buses and trains and in log-jammed crowds. I willingly (happily) participated in that process. I’ll always remember it and I’m mostly grateful to the WWE for the show it put on. This isn't a "woe is me, I went to WrestleMania" story. I’m merely describing the more grueling aspects of the experience to illuminate exactly why a frustrated crowd might be inclined to turn on a lackluster show. You go through so much just to be there that you're determined to be entertained, no matter what (even if you have to entertain yourself). A more streamlined live experience that comprehends the natural rhythms of people’s attention spans, their exhaustion levels, and their reason for paying, would go a long way in stemming the tide of waves, beach balls, and “boring!” chants. Our enjoyment also translates on television, and affects the television-viewer’s perception of the show’s quality. If we are satisfied, the rest will fall into place. Often, it felt like we were an afterthought, and the television audience was the company's priority. Rather than talk so much about "putting smiles on faces", WWE may want to reevaluate the structure, flow, and focus of its live-events (nothing longer than five hours, no pre-shows, an earlier start-time, fewer matches, better characters). Despite the contentious way this conversation about disrespectful live crowds has played out over the years, the fix is quite simple. Wrestling fans, believe it or not, just want to watch good wrestling. When they don’t get good wrestling, they will reach out to each other, and find joy in their shared language of song and humor.